This is a beautiful intense poetic very ‘English’ album! Waves of melancholy and intense emotion create a haunting massage for the senses, to carry you away on a dream-like hallucinogenic journey! An album for all those who are not afraid to cry tears of joy and feel the beauty in sadness! The songs and voices are beautiful hypnotic and sublime. Hong Guo’s piano & strings and Eva Sisi Yuan’s production blend and evoke perfectly the almost hypnotic beauty of the music voices and songs. A hypnotic hauntingly beautiful dream-like album. Close your eyes and drift away as the music takes you on a journey through your senses. 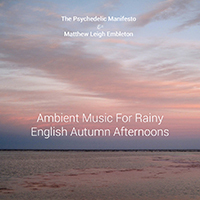 Soft, flowing, sensual undulating harmonic melting soundscapes and angelic vocal effects create the ultimate massage for the senses. Loose yourself in joy. 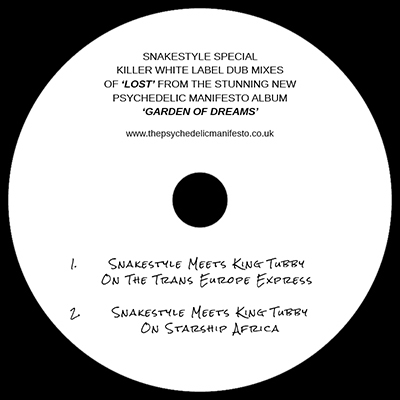 Snakestyle meets The Psychedelic Manifesto in the sonic ‘Garden Of Dub’. 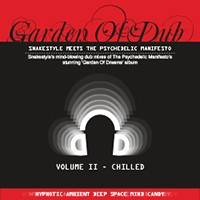 Snakestyle’s mind-blowing dub mixes of The Psychedelic Manifesto’s stunning ‘Garden Of Dreams’ album. 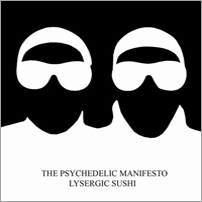 Snakestyle meets The Psychedelic Manifesto in the sonic ‘Garden Of Dub’. 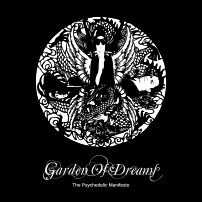 Snakestyle’s hallucinogenic mind-blowing dub mixes of The Psychedelic Manifesto’s stunning ‘Garden Of Dreams’ album. Produced by Matthew Leigh Embleton & Chris Garland. 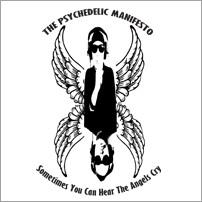 'Garden of Dreams by The Psychedelic Manifesto is a remarkable reminder of innocence - both lost and still accessible. The dreamy vocals and uber-chilled instrumentals of Post Modern Buddha, for example, summon up an era of optimistic peace-mongering, eclipsed partly by the zeitgeist of the eighties and the greedy decades that followed. 'The new Psychedelic Manifesto Album 'Garden of Dreams' continues the bands evolutionary journey into a world of gentle flowing, trippy, soothing, healing sonic alchemy! While still retaining the shadow of 'post-dub-step', indeed the 'dub-factor' remains imbedded in the TPM consciousness! 'Garden Of Dreams' is an album of wonderfully moving uplifting and almost heart-stoppingly beautiful melancholy, that gently seduces you with a soothing, healing and calming massage for mind and body, and, in doing so provides a very personal listening experience. This is definitely not the kind of music for listening too in the pub while swilling beer! Indeed TPM I suspect, would be appalled at the idea of this happening! This unique and very special album of wonderful poetic songs, beautiful arrangements and harmonies, is almost 'classical’ in its realization. Matthew Leigh Embleton’s production (supported by Chris Garland) is graceful and inspired. Matthew’s sense of harmony and texture, together with his excellent musicianship, was obvious on his previous solo album’s, but here, the combination of this, and Chris Garland’s, beautiful and inspired songwriting, wonderfully tear jerking heart break vocals, and co-composition, and the angelic achingly beautiful backing vocals of Hong Guo, have created an album that is a beautiful unique and seductive masterpiece of sound and emotion. This is an album that you come home to after a less than wonderful day, close the door, lay down, put on the headphones, and just drift away into your own soothing personal, hypnotic inner space, as the beautiful melancholic songs and flowing melodic gentle harmonies, take you on a healing emotional journey. (C. Garland/R. Steuns) © 2010. Words: Garland. Music: Garland & Steuns. Production: Garland & Steuns. Mixed by Steuns. Artwork & Design: 'Wing design': Noriko. All other artwork/design (including web design&construction): The Hong Dynasty (w: thehongdynasty.co e:me@thehongdynasty.co). 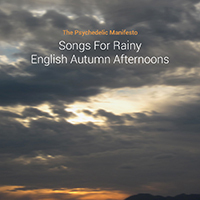 All songs written produced mixed arranged by The Psychedelic Manifesto (C. Garland/R. Steuns). Words: Garland. Vocals: Garland. Music: Garland & Steuns. Additional vocals on Forever & Perfectlight: Ilona. Time: Brit.